Global Water Conference: Water Matters! 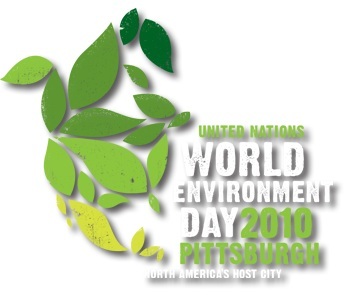 This global water conference is part of World Environment Day (WED) 2010, a United Nations Environment Programme. This conference give visibility to the protection and restoration of water resources. Regions that step up to the challenge will have advantages and growth; those that don't will decline. Water and Your Health: What's in our water and what does it mean for our health? Water and Energy: How do we balance need for energy and clean water? Water as an Economic Driver: How do we use this precious asset smartly to enhance quality of life and build our economy? The conference is open to the public and intended for all audiences. Join us and learn more about the future for and protection of our waters. Join citizens, students, business owners, watershed groups, and community leaders from across our region and North America to be part of a remarkable, eye-opening exploration of ways Water Matters! Learn about the region's leading water innovators, problem solvers, and applied technologies. The day-long conference will conclude with a networking reception and exhibition providing hands-on activities and displays. The cost to attend Water Matters! Global Water Conference is $25. Website: Global Water Conference: Water Matters!